Energy drinks are highly caffeinated beverages designed to give individuals an extra boost of energy. Each energy drink is formulated differently, so the ingredients found in one product may not be present in another. Caffeine in some form is present in all energy drinks. Ginseng and guarana seed are other common ingredients which boost energy levels. Energy drinks may also contain carnitine, taurine, inositol and gingko biloba. There is no set dosage for energy drinks. Regulations do not exist for either the ingredients in each drink, or the number of drinks that can be consumed each day. 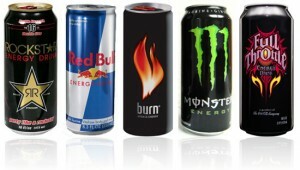 When these drinks are consumed in large quantities, very serious energy drink side effects can occur. It is important to review the ingredients carefully before adding energy drinks to your diet. Some have more than five times the amount of caffeine found in a typical soda. Energy drinks are used to boost energy, concentration and athletic performance. The massive boost of caffeine that users can get from this drink may very well provide these benefits. However, energy drinks are typically associated with a “crash” when the effects wear off. Individuals may consume one energy drink after another to stave off the impending feeling of exhaustion, but this only increases the chances of dangerous side effects.